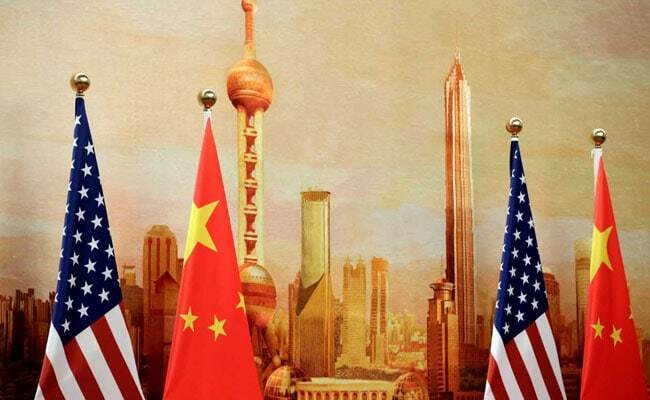 US and Chinese negotiators are working to find a binding agreement to address us President Donald Trump's complaints about years of unfair treatment of US companies by China. The United States said Friday that its trade negotiators are making "great headway" with Beijing in talks aimed at ending a bruising tariffs battle between the two economic superpowers. US and Chinese negotiators are working to find a binding agreement to address President Donald Trump's complaints about years of unfair treatment of US companies by China, which would allow a rollback of the tariffs hitting businesses in both countries. "We are still making great headway, including these talks," White House economic advisor Larry Kudlow said on CNBC, as Treasury Secretary Steven Mnuchin and US Trade Representative Robert Lighthizer headed home from the latest round of negotiations in Beijing. "The last message we got is they made more headway," Kudlow said. The White House also reported "progress" in what it termed "candid and constructive discussions," saying the trade talks would resume in the US capital on April 3. And Chinese state broadcaster CCTV said the latest round yielded "new progress," without elaborating. Mnuchin wrote on Twitter that he and Lighthizer "concluded constructive trade talks in Beijing," but did not provide more details. On Thursday, Kudlow said the talks were not "time-dependent" and could last weeks or even months if necessary. The talks are "policy and enforcement dependent," Kudlow said. US insistence on keeping the first tranche of 25 percent tariffs on $50 billion worth of Chinese imports could be a sticking point for a deal, analysts say. Massive purchases of American goods are expected to be part of any deal, in order to lower the politically sensitive US goods trade deficit with China, which reached a record high of $419.2 billion last year.